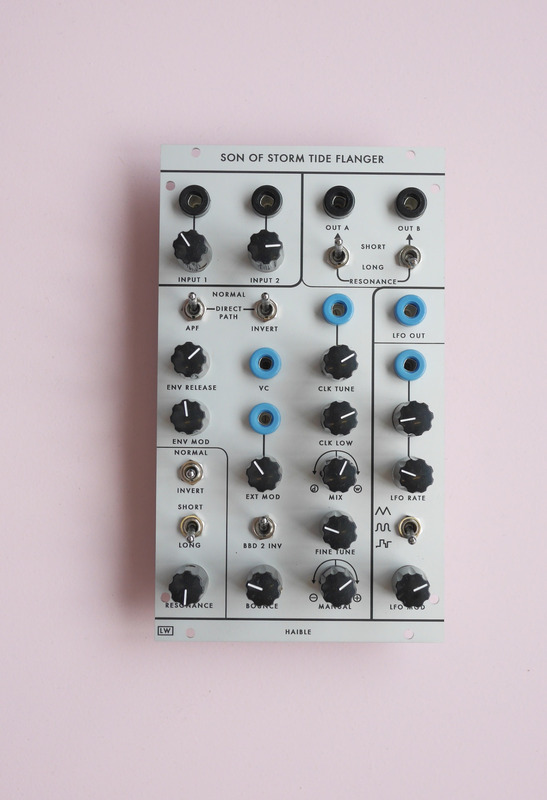 Build a Jurgen Haible Son Of Storm Tide Flanger in 4U! The PCB is available from Random Source and detailed construction notes can be found here and here . Check for stock of Loudest Warning SOST panels here. 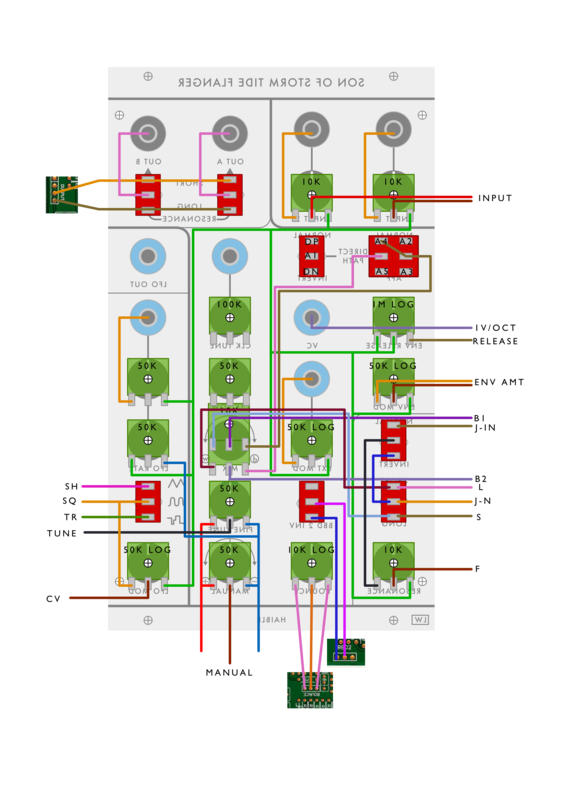 This build also utilises a CGS 81 Dual Processor PCB – one section for CV in to clock and one section to buffer the LFO output. 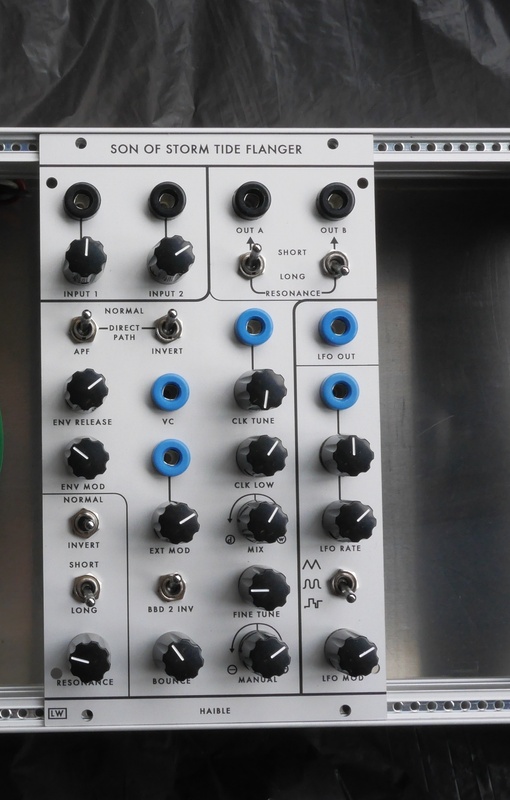 The panel uses 6 x SPDT ON/ON switches, 1 x SPDT ON/OFF/ON and 1 x DPDT ON/ON switch.